When it comes to Fallout 4 DLC, so far we’ve only had the Automatron add-on which released last month with the next DLC Wasteland Workshop releasing on April 12. We’re still just over a month away from the release of Fallout 4’s biggest expansion yet, Far Harbor, but that hasn’t stopped one Reddit user from discovering that the DLC has already been uploaded to SteamDB. The Reddit user, who has since deleted his account, also released a video showing the games files on SteamDB and comparing the install size of the DLC to that of other expansions for Bethesda games including Skyrim’s Dragonborn and Dawnguard DLC. He reveals that the size of the Far Harbor DLC is 2.68 GB which is roughly 40% larger than Dragonborn. It’s also 6 times larger than the Automatron add-on that released last month for Fallout 4 and was only 587mb, but that’s to be expected due to the small amount of content that it added to Fallout 4 compared to what Far Harbor will offer. 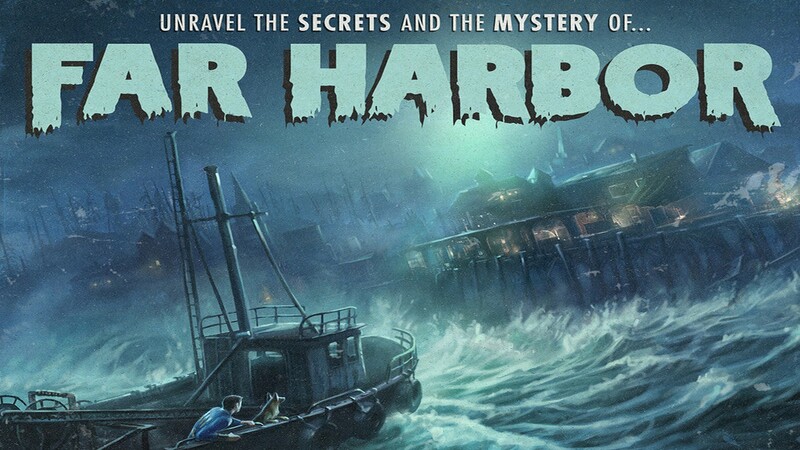 Bethesda have said that Far Harbor will be bigger than all of their previous expansions they have released, although that is with regards to the total landmass that the DLC adds to the game rather than the actual content which Todd Howard has already told IGN is less than the Shivering Isles but more than Dawnguard. “Well, even though the land mass is bigger, it doesn’t have as much content as Shivering Isles – which was $30- but it has more than Dawnguard, which was $20,” he told IGN. Earlier this week the Fallout 4 files were also data mined which led to the discovery of some new creatures and weapons in the Far Harbor DLC including the Ghoul Yao Guai and Giant Squids as well as the Harpoon Gun.